(L-R) Shannon Walker, Kim Feenstra, Sharon Adams, and Theresa O’Reilly. In recognition of National Girls and Women in Sports Day (NGWSD), celebrated each February, Little League® Baseball and Softball is spending the month of February honoring girls and women who have impacted Little League. Every year, millions of volunteers throughout the program display commitment and appreciation for the ideals of Little League, and respect for the place that Little League holds in communities throughout the world. Amongst those dedicated members are many women who by serving as role models and mentors are expanding opportunities around the world for young girls and boys to become involved in sports. 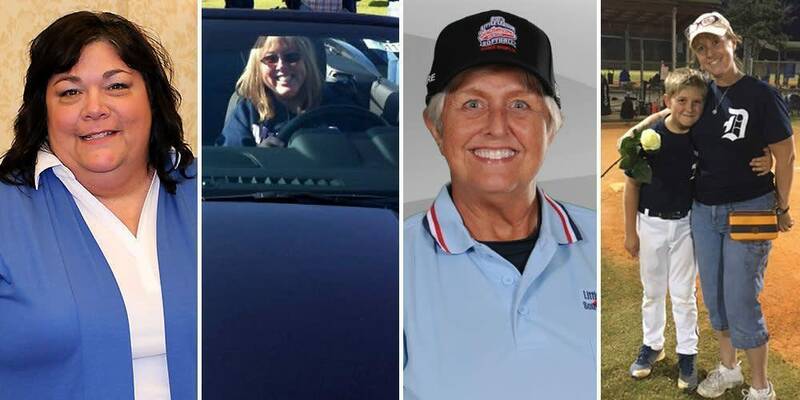 Enjoy the thoughts and memories of these female volunteers as they share what Little League means to them. Mrs. Walker has been a Little League volunteer for 21 years. 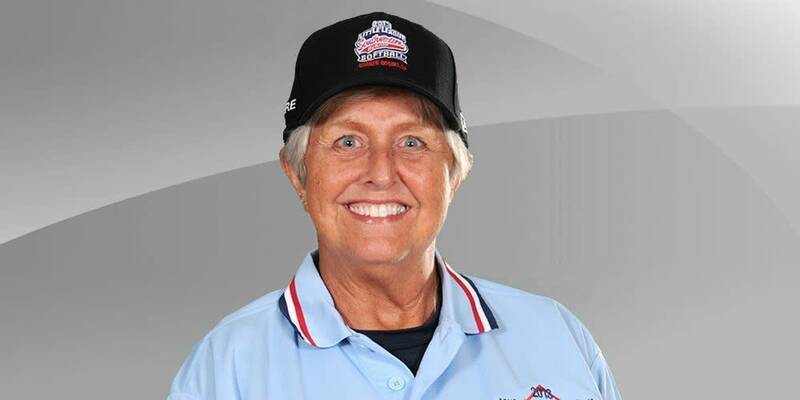 In that time she has served as a team mom; coach; manager; local league Board of Directors member, including League President; District Administrator; Assistant State Director; and on the Central Region Advisory Board. What does Little League mean to you? Little League means hope. The sort of hope that comes with creating an honest, wholesome, safe environment for our children, facilitated by a group of like-minded volunteers whose desire is to deliver on that premise. Why did you decide to volunteer in Little League? While my children were playing in the program, I saw an opportunity to help out. Not wanting to just complain, I got involved to resolve and make it better. What was your motivation to become a local league official? I found [in order] to affect the most change, I had to lead. How do you view the importance of women occupying leadership roles in sports? I believe a passion or drive for excellence in sports or sports management transcends gender, and women are empowered, if they so choose, to have no limits. Describe your fondest experience as a Little League volunteer? While watching a minor league baseball game (last game of the season), the right fielder caught his first-ever fly ball. His face lit up with disbelief, his parents were going berserk! He runs the ball all the way in (to the infield) with the biggest smile I have ever seen. So, I guess my most memorable moment is actually that player's most memorable moment. President of Milwood (Mich.) Little League (Michigan District 2) and Director for the Intermediate (50/70) Baseball Central Regional Tournament. Mrs. Feenstra has been a Little League volunteer for 10 years. In that time she has served as a member of the Millwood Little League Board of Directors in several capacities; and is a member of the Michigan District 2 Staff. Little League to me means family. Since I've been involved in our local league, I have had the opportunity to meet so many wonderful players and families. It takes an incredible amount of time, but I truly enjoy it, and am reminded of this every year on opening day when I see all the smiling kids come marching in for our opening ceremonies. My stepson was eight, and we signed him up to play minor baseball with Milwood Little League. The League President at that time asked my husband and me if we would be interested in coaching his team. That was nine years ago, and both my husband and I are still involved in the league even though our son is now almost 18. I started on the Board of Directors the same year my stepson started playing. The Board had an opening for Secretary, so I thought it would be a great way to get involved and see how the Little League program works. I feel that Little League is so important and giving kids the opportunity to play in a well-run league is so vital. I think it is very important that women have leadership roles in sports. There are so many young children, especially girls that need women as role models and Little League is a great place for that to occur. I have so many great memories from my Little League experiences! One of my most memorable, though, would be the year my stepson was 12. He was playing on the Major Division all-star team and my husband was one of the coaches. We had made it to the (district) championship game out of the loser's bracket and no one expected our team to even make it that far. We beat the team and made it to the "if" game. I was sitting in the outfield along the right field fence and there were two outs. One of our players came through with the game winning hit, and I just remember seeing my husband and the players running out of the dugout as the player from third base headed for home. Until that moment, Milwood Little League hadn't won a Major Division baseball district championship in more than 25 years. Even though my son is almost 18, he and his friends still talk about that season! I was also very fortunate to have been able to work closely with Bud Vanderberg over the last 10 years at Milwood Little League, and more closely over the past four years at the Intermediate (50/70) Regional Tournament. Bud was the Tournament Director for the first three years and turned it over to me last year. I have so many great memories of working with Bud, and I am sad that I won't be able to share that experience with him anymore. Note: Harold "Bud" Vanderberg (93) passed away in January 2017. 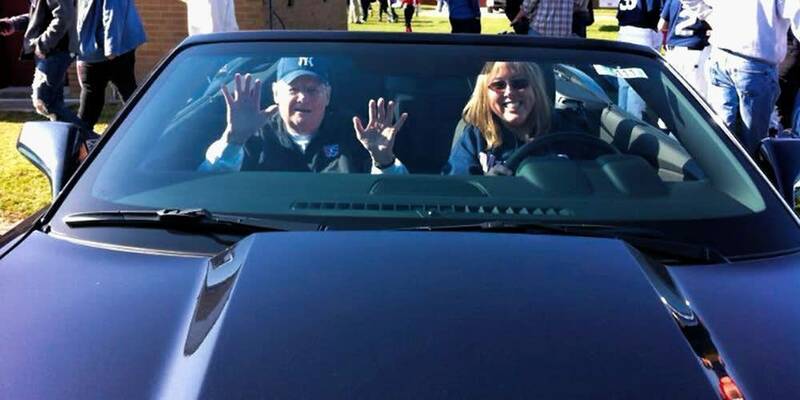 Mr. Vanderberg was a member of the Little League International Board of Directors and served as Michigan 2 District Administrator for 45 years. Ms. Adams has been a Little League volunteer for more than 20 years. 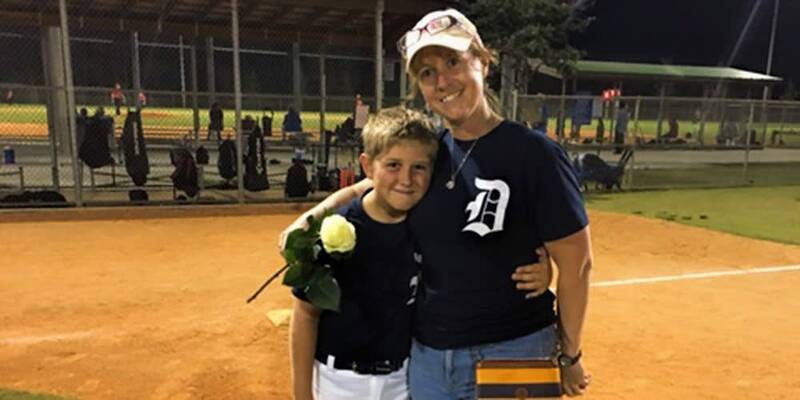 In that time she has served as local league Board of Directors member; umpired in Destin, Niceville/Valparaiso, and Shalimar Little Leagues; and held the position of Assistant District Administrator for Softball for Florida District 1. Little League is a fun and positive way to be involved with youth, which helps them develop to be outstanding citizens and leaders of the future. My niece and nephew starting playing in a local league, and I was 'volunteered' by my brother to help. It's led to many enjoyable softball and baseball games and thousands of memories. Being involved in the communities and with the youth in a positive, healthy environment doing something "I Love to Do!" ... and that is umpire and help wherever needed. It's very, very important. Women have so much to offer the youth that we come in contact with, especially in the 'sports' arenas. Everything since the first day I started this adventure. Being with the youth, both softball and baseball; umpiring locally, in District, Sectional, State, and Regional games, and meeting all the parents, League staff and volunteers, State, and Regional staff, and volunteers. Seeing these young ladies and men develop into great athletes, students, parents, and leaders. It's a lifetime of memories! Team Mom; Concessions Manager for Martin County North Little League in Palm City, Fla.
Mrs. O'Rielly has been a Little League volunteer for 10 years. In that time she has served as Team Mom. Little League promotes teamwork, which is very important in teaching life lessons to kids, either on or off the ballfield. It means, as volunteers, we have the obligation and honored responsibility to the kids to promote respect for others and good sportsmanship. After my kids went on to college, I wanted to continue to help other kids, so I came back to Martin County North Little League. I have been blessed to be Team Mom to terrific children and their families. I simply enjoy volunteering with the children. As their Team Mom, I make sure they have water and cold towels. And, whether it's scorekeeping, pitch counting, fundraising, or in any other capacity that helps out Martin County North Little League, I do it. I believe it is very important for young women to be strong and positive role models for children. Team Moms can also reinforce the message to the kids that they can achieve anything through hard work and perseverance. Volunteering also demonstrates the importance of giving back to community. Women in leadership roles, particularly as Team Moms, require young men and women to show respect for a person's abilities, not simply their gender. Describe your fondest/most memorable Little League volunteer experience? There have been so many it's hard to pick one. One Mother's Day weekend, (day before Mother's Day), the kids had played a game, and afterward, they went up to the backstop facing the bleachers and wished all the moms and grandmas a "Happy Mother's Day!" Just about everyone had a tear in their eyes and lots of smiles. Another time, we had our players give their moms white roses for Mother's Day and to thank them for all they do in helping play baseball. That's what is most rewarding, seeing the kids smile.